It’s the first post of my twelve days of Christmas feature! Over the next few weeks, I will be posting twelve holiday projects. …a set of holidays caaards. 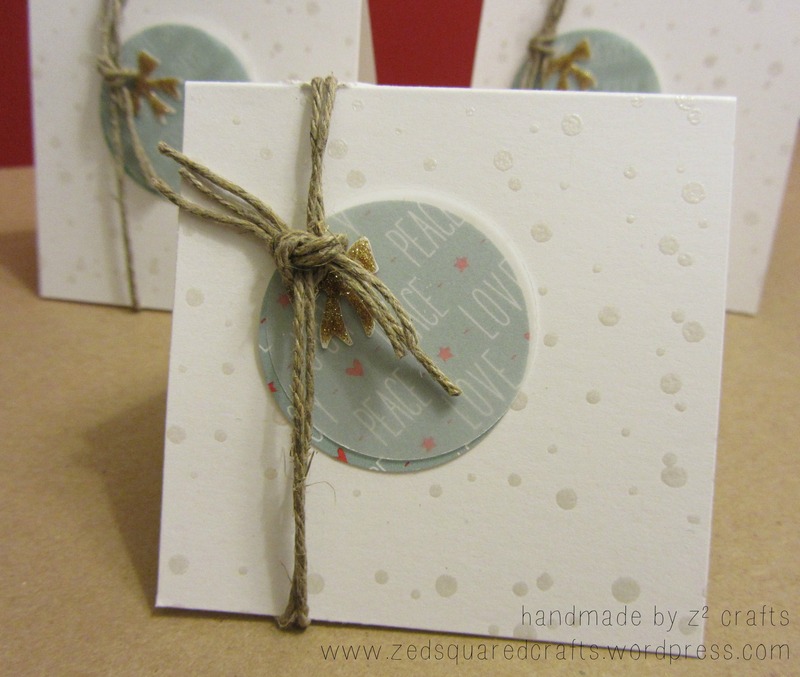 I made this petite holiday note set using many supplies from the Simon Says Stamp November card kit. The 3X3″ cards have a pearly white snow embossed background and a little glitter from the gold bow embellishments. Stay tuned for day two. Thanks for dropping by!